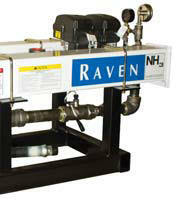 Cooling technology to stabilize NH3 as a liquid for accuracy and product control. With higher Yields less waste and lower input costs, the results speak for themselves. Almost doubled capacity for heavier application areas. Flag points in the field on the go and view later. Field review display to verify coverage and identify skips. Last pass guidance and contour guidance. 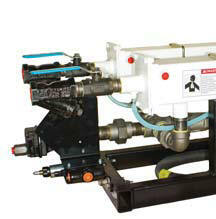 Simple installation/mounting for hassle-free installation and use with multiple machines. Integrated lightbar system for added confidence and visual support. Raven's new simple to install mechanical drive steering system harness the newest technologies to keep you on tracks and on line all day long. You'll benefit from added torque for faster operating speeds, increased accuracy and reduced noise. Transfer SmarTrax MD between multiple tractors, including combines, windrowers and more.